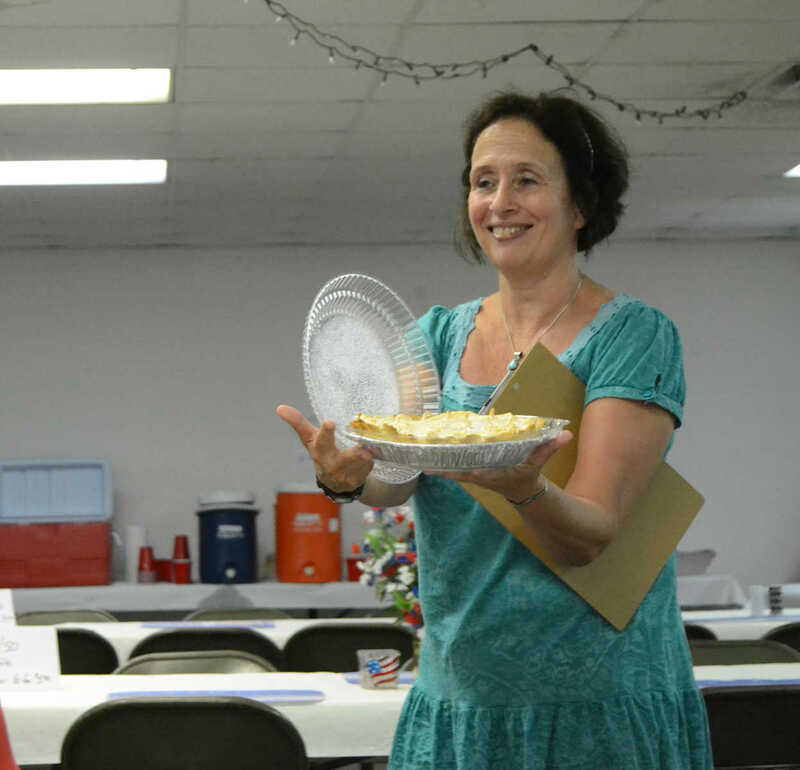 Kim Bessey shows off a lemon meringue pie up for bid during the Pie in the Sky benefit for Moss House on Saturday. Ray Bruce win the bid for a second pie during the Pie in the Sky benefit for Moss House on Saturday. 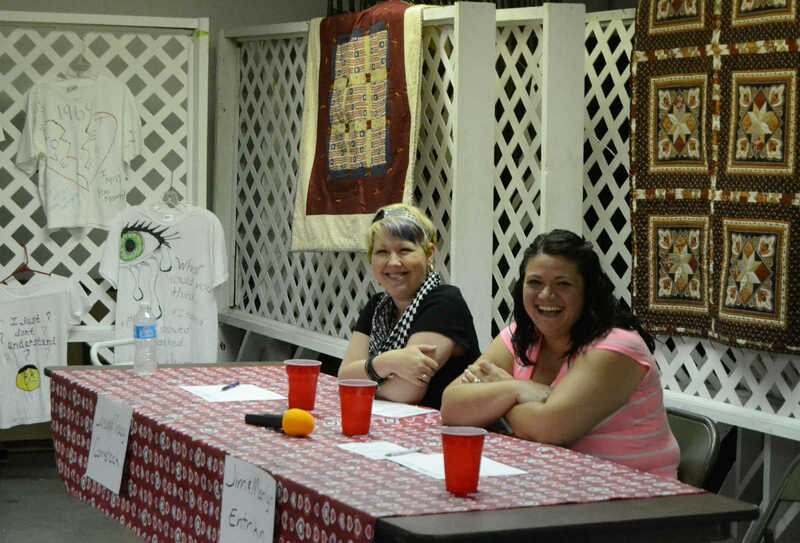 Tracy Comstock and Marilyn Entrikin laugh at the answers to Newlywed Game questions during the Pie in the Sky benefit for Moss House on Saturday. 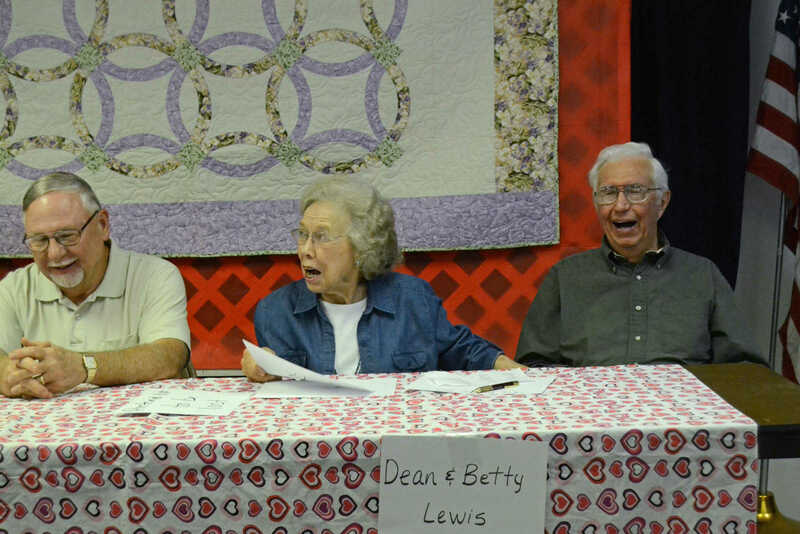 Betty and Dean Lewis act suprised at having matching answers in the Newlywed Game during the Pie in the Sky benefit for Moss House on Saturday. 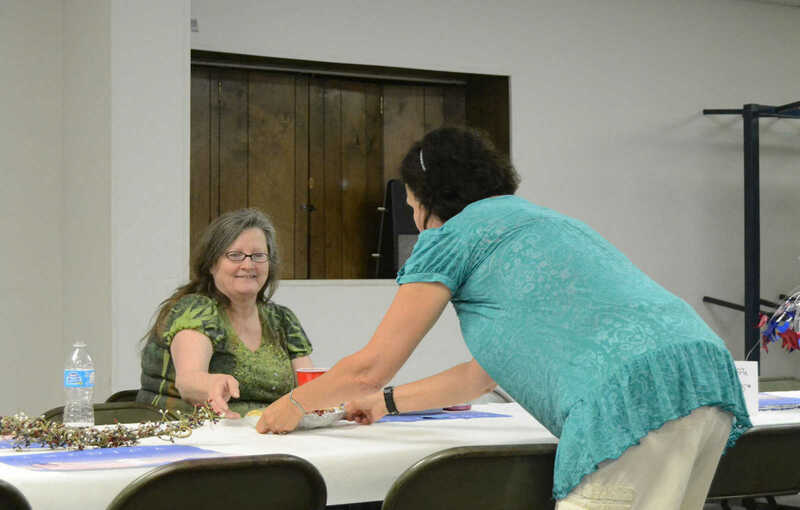 Richard Hovey sits on left. 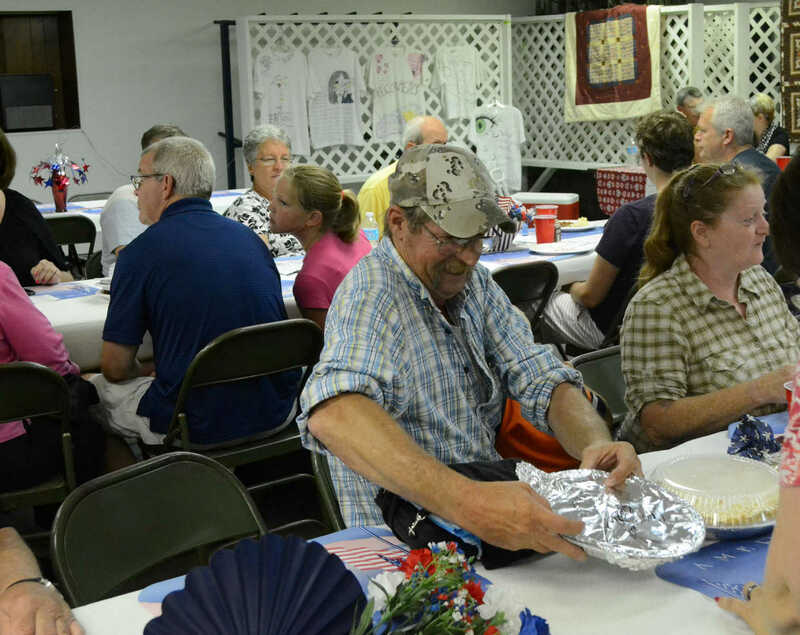 Catherine Bofetta wins a cherry pie during the Pie in the Sky benefit for Moss House on Saturday.